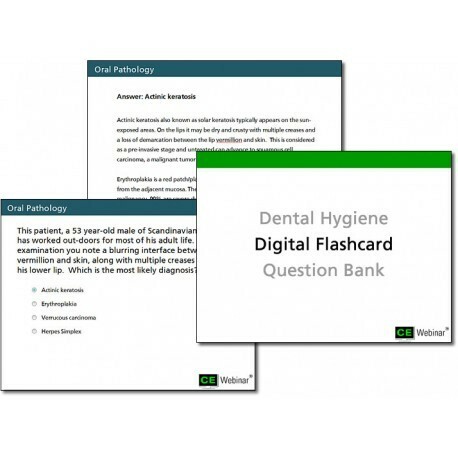 In an effort to help prepare you for your dental hygiene boards, we've created a Dental Hygiene Digital Flashcard question bank focused on board exam style questions to help acclimate you to the testing environment. This product will focus on two main objectives. First, it will help you practice taking board exam style questions in an online environment. Secondly, it will review content by explaining the answers to you and give you insight into the thought process behind these question. Finally, we track your progress and success within each of the content areas listed above. By tracking this information, we help you to identify your strengths and weaknesses so that you can study smarter and not longer. 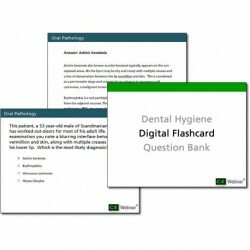 The cost for the Dental Hygiene Digital Flashcard Question Bank as a stand-alone product is $119. Register for the ADHA National Board Review Course and we'll refund you $60 off the price of the Question Bank for a final price of $59. 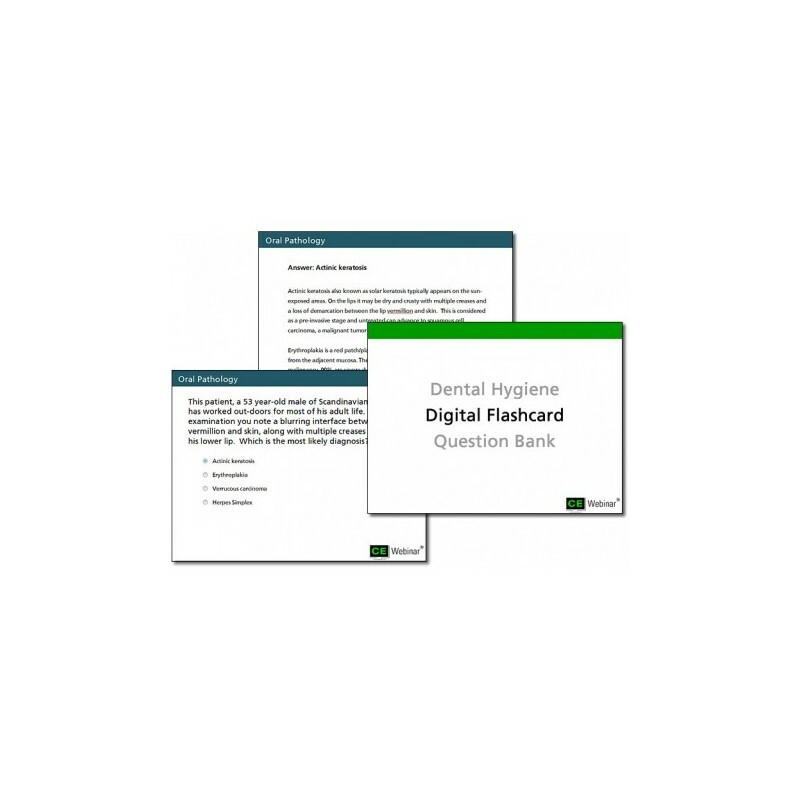 You'll get 6 months of access to the Dental Hygiene Digital Flashcard Question Bank with your registration. Ensure your board prep is complete with the ADHA National Board Review Course and the Dental Hygiene Digital Flashcard question bank. Register now!